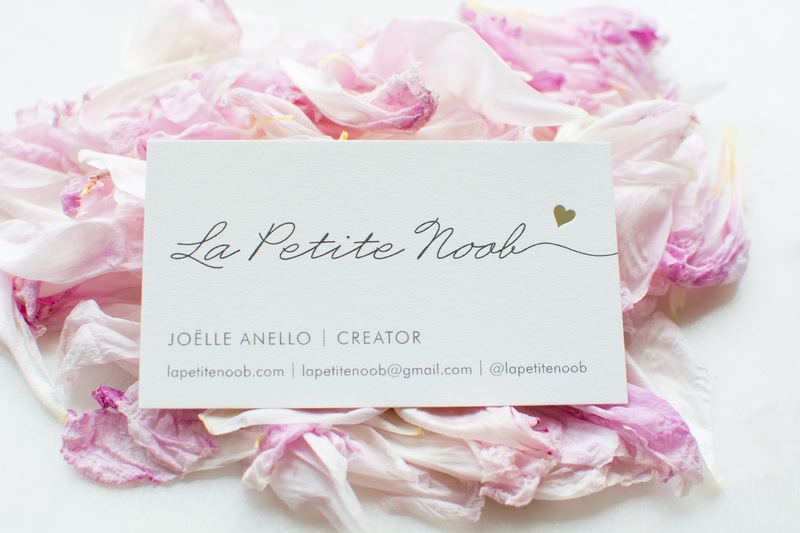 Blog Tips - My Blogging Business Cards from Minted | La Petite Noob | A Toronto-Based Fashion and Lifestyle Blog. Blogging is a funny thing, no? What started as a little experiment to document my 30 thing to do before 30 list has now evolved into a part-time job of sorts, and I couldn't be happier with how things are progressing! With taking your blog more seriously comes a lot of exciting opportunities, and I've come to realize that having a business card is essential when navigating the world of networking as a blogger. After trying to write my blog address or Instagram handle on cocktail napkins one too many times, I finally bit the bullet and had business cards printed for my blog. It took me awhile to find a place that would not only design my business cards, but print them - without it costing an arm and a leg. This is especially important for us bloggers who don't have a branded logo for ourselves, but still want our cards to look sharp and unique. I had read good things about Minted online and after looking at their business card templates was totally sold! I chose a template with a gold-foil pressed heart to give the cards a little something special, while still looking very clean. After receiving my printed cards, I can honestly say that I'm blown away with the results and am so impressed with the quality. 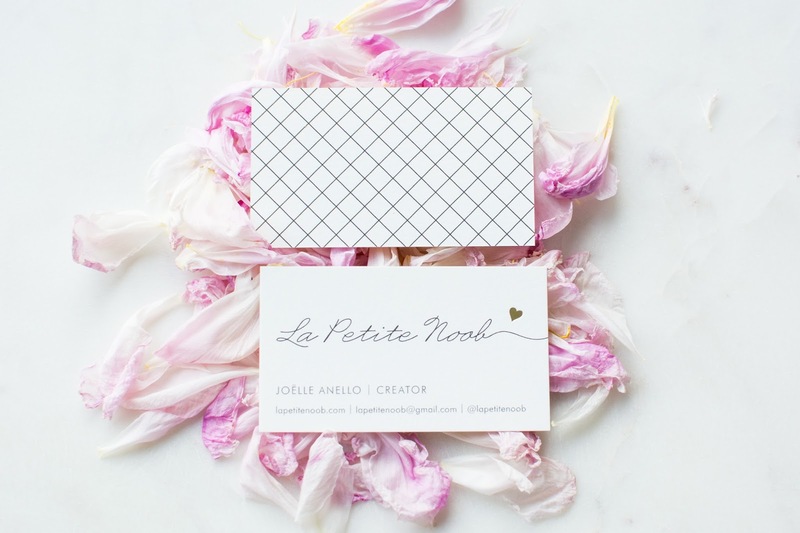 What should you include in your business cards? Your full name. After receiving a few cards from fellow bloggers, I was surprised to see how many people left their names out. I think that including your name is essential in forming a more personal relationship, and implies a sense of ownership over your space. Your blog's URL. Your choice on if your want to include the www. at the beginning, however I would definitely opt to drop the http:// - the less text the better! Your e-mail address. If you have a separate e-mail address for your blog, make sure that you're checking it frequently, or have merged it with your personal inbox. Your social media handles. I'm fortunate in that all of my social media platforms have the same user name so I chose to only include one generic one. If you have multiple username for different social media platforms, only include those that you are most active on - you want to avoid having a cluttered business card. Your telephone number. I chose not to include my phone number, mostly to save space and clutter but I found that I usually communicate with people a few times over e-mail before exchanging phone numbers. A photo. As someone who is regularly talking new photos, I chose not to include a photo on my business card. I do admit though, having a photo on your card definitely helps to put a face to a name so that is definitely something to consider. A QR code. Although a QR code is great in theory since the recipient of your business card can do a quick scan and find your blog, I have rarely run into anyone who actually uses them. QR codes are a cool concept, and definitely something to consider for your blog's business card, but not mandatory. The verdict? I couldn't be happier with the way my blogging business cards turned out! I'm really impressed by how quick and easy they were to create with Minted. I had the cards designed, printed and shipping in less than a week - and I live in Canada! 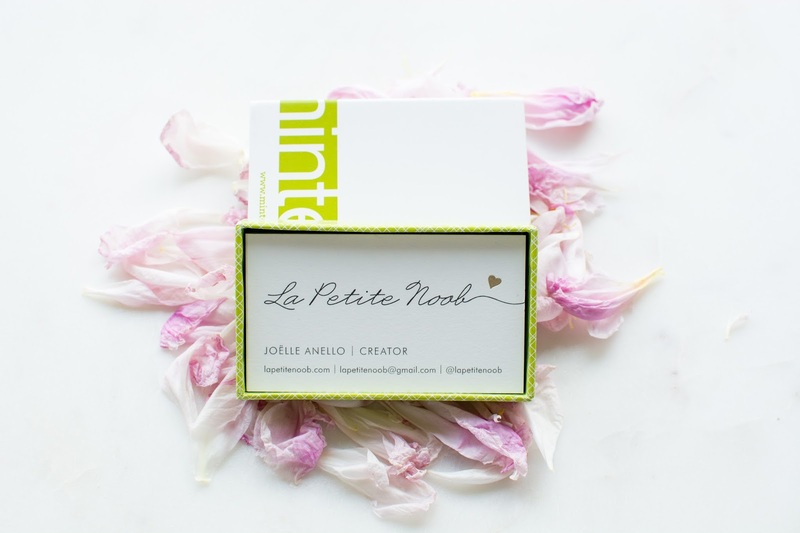 Minted was generous enough to extend to La Petite Noob readers a code to save 10% off your own business cards using coupon code LAPETITENOOB10. The discount is valid now through June 18th, 2015 - check out their huge selection of business cards here. I think that you'll love them as much as I do! What do you think? 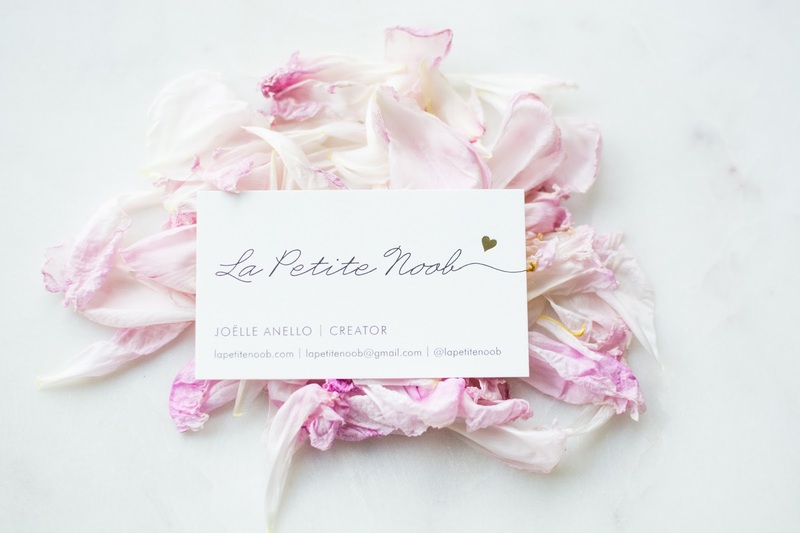 Do you have business cards for your blog as well? Let me know! Hee hee, Thanks Lenny! I'm glad you like the 'creator' title LOL! Thanks Alecia, I'm so glad that you like them! Love the business cards! I've been on the fence about having some made for a while now. Definitely going to check this site out! I was SO on the fence about them too Kris, bit I'm so glad that I bit the bullet and had them designed and printed. It was so easy with Minted! Thank you so much for sharing, I've been trying to design my card without any success and they have so much choice! Yaaay! I'm so glad that you found this helpful, I honesty am so impressed with Minted's design and printing quality! Welcome to the club! !Having business cards makes life so much easier! Love the design too. I love how you used both the back and the front of the card so effectively. I love the grid design!